French. 20th century. 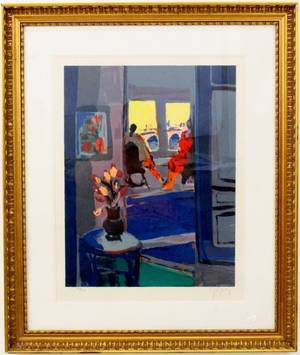 Limited edition lithograph depicting interior scene with vase of flowers on a table, seated figures in the background. 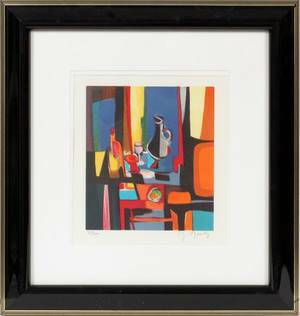 Signed lower left in pencil by the artist Marcel Mouly (French, 1918 - 2008) and housed in a gilt frame with custom matting. 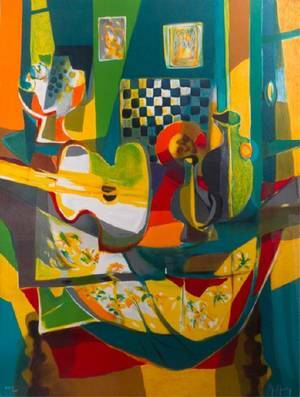 Marcel Mouly was heavily influenced by the work of Picasso, Matisse, and Braque. He studied painting at the French Academies and later became the protogé of the sculptor Jacques Lipchitz, from whom he learned about Cubism. Mouly's work is exhibited in museums such as the Musee Nationale d'art Modern in the Centre Georges Pompidou and the Bibliothèque Nationale in Paris, Musee de Geneve in Switzerland, the SFMOMA in San Francisco, and numerous other museums, more than 20 around the world. 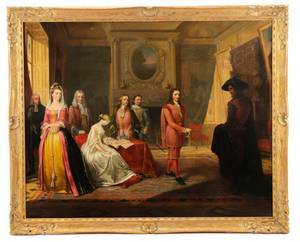 He received two of France's highest art awards: the Chevalier de L'Ordre des Arts et Lettres in 1957 and the Premier Prix de Lithographie in 1973.Framed 39" x 25". 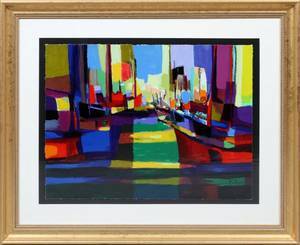 Sight size approximately 25" x 19". 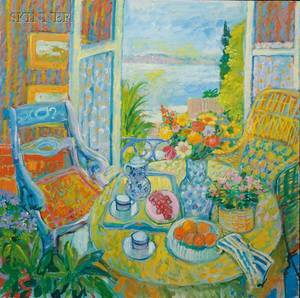 Group of 3 landscapes together with an oil on board interior scene by Jenny Bond. 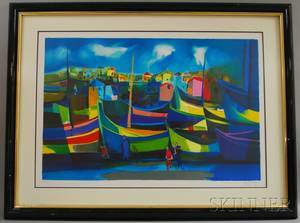 MARCEL MOULY (FR. 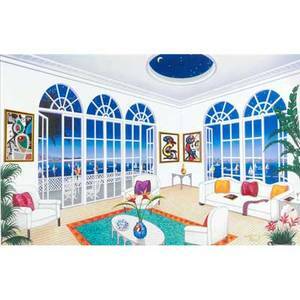 1918-2008), SERIGRAPH, H 20", W 27" "
Italian School, "Interior Scene With Fireplace"
Francois ledan & howard behrenstwo framed prints: serigraph on canvas of interior/seascape by ledan (french, b. 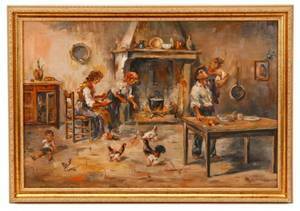 1949), signed and numberedphoto offset of a mediterranean scene by behrens (american, b.